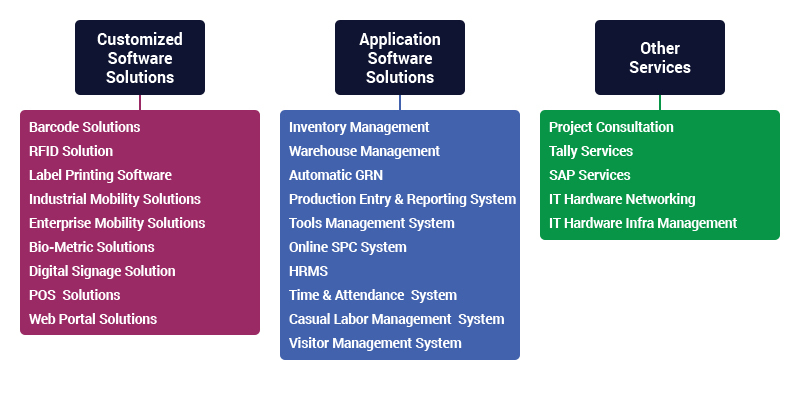 Ess-Matrix Infotech provides application software solutions to all type of industries and functional requirements as listed here below. Our services starts from consultation & POC and goes through design, develop, implement and maintenance. Our dedicated functional analyst team understands and provides solution for any requirement of software solutions. Our development team executes the project where the requirements and expectation meets exactly with the result. Once the project is executed, customer support team takes care for future support.